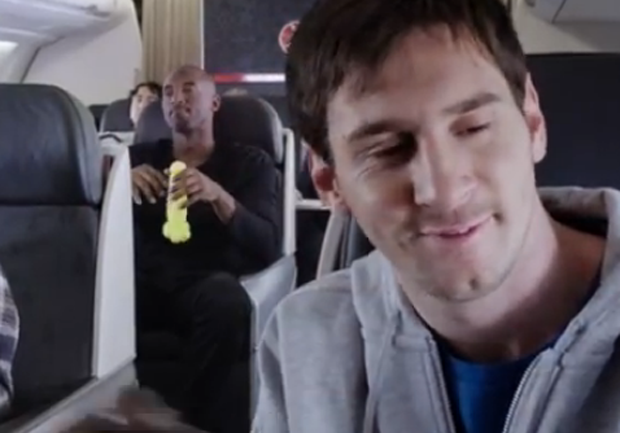 Who would you rather get to autograph your ball - 3-time FIFA world player of the year Lionel Messi or NBA icon (and 30,000-point scorer) Kobe Bryant? This ad from Turkish Airlines pits the two sports stars against each other as they duel to give a wide-eyed child an autograph. Bryant and Messi showcase their ball tricks, but who knew they were so skilled at building card houses and fashioning animal balloons? Alas, in the end, both athletes lose out to the ultimate childhood enticement: ice cream.